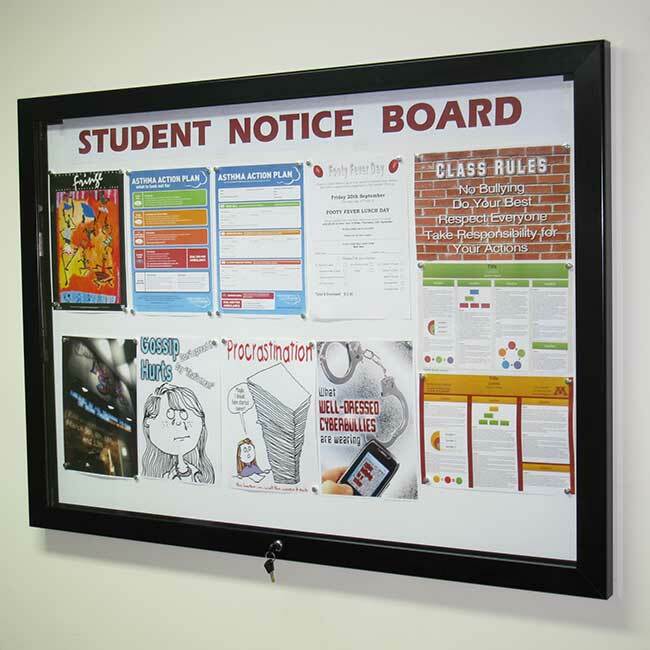 HD1s are especially durable lockable indoor and outdoor notice boards. It is Australian made, with a very high build quality to give a long reliable service life and endure applications with high levels of vandalism and demanding natural environments. 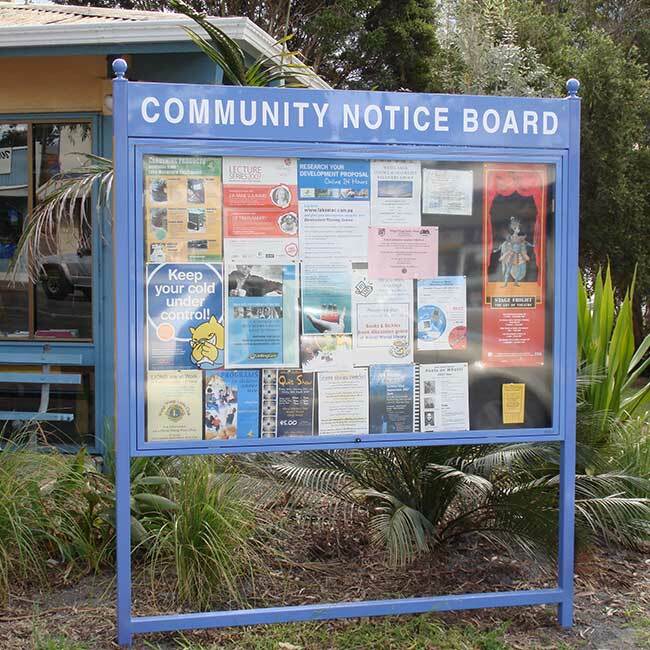 They are arguably the most versatile notice boards in Australia, with a lot of scope for custom made requirements to fulfill all applications and budgets. 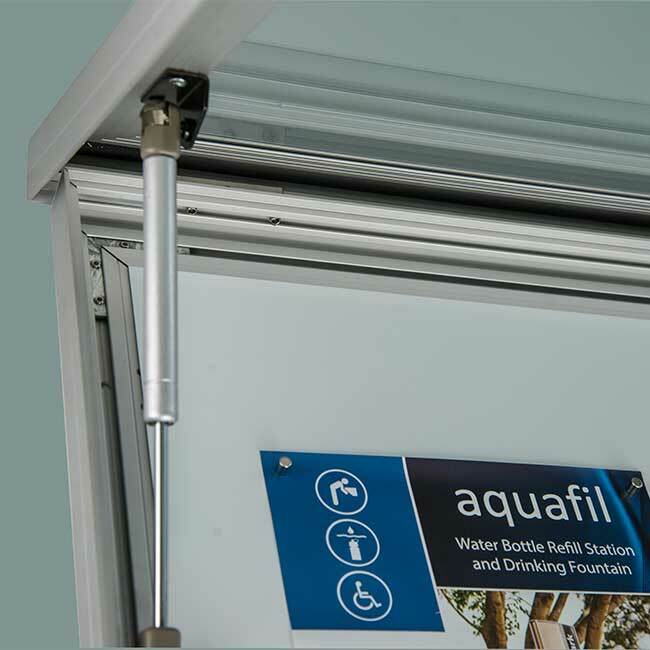 The frame is a specially designed marine grade structural aluminium extrusion for resistance in all outdoor conditions. 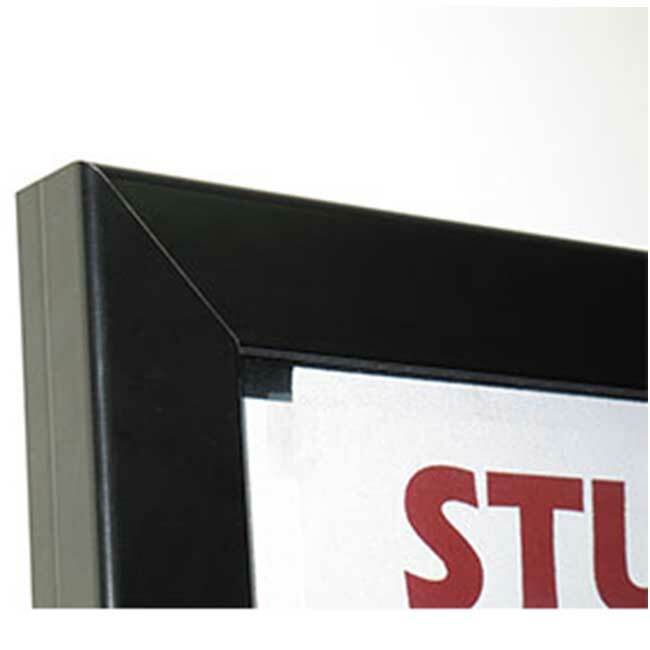 The standard finish is exterior grade anodised satin or powder coated black. The optional upgrade of selected powder coated colours is also available. Stainless steel hinges are attached on the longer side for the swing door which is foam tape sealed to further resist bugs, dirt and water ingress. The standard for is two key (alike) locks mounted on the front to secure the door, or on the side for the optional rear opening door. Included as standard are auto gas lift door stays (as a safety requirement). 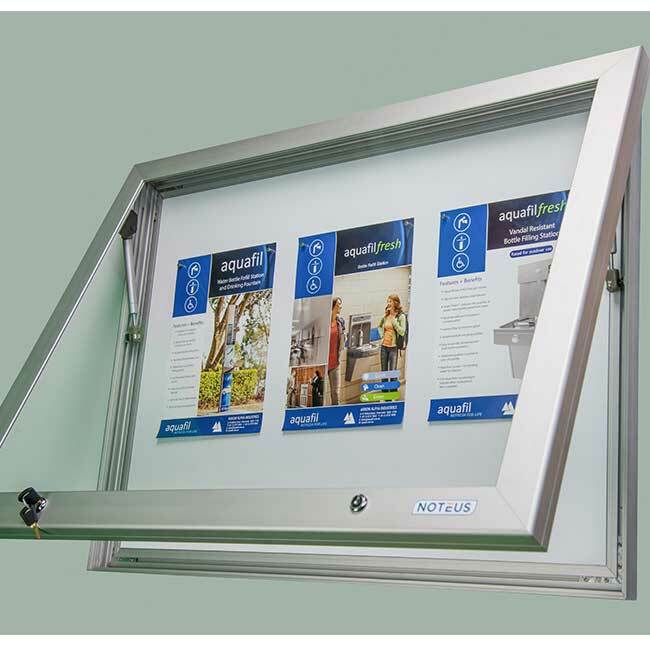 Alternatively, there is the optional saving of manual stays only for portrait orientation mounted notice boards with side opening doors. The display window can be made from different material options. First, there’s 3mm thick acrylic which has good natural resistance to cleaning blemishes and haziness from graffiti removal but has poor resistance to concentrated high impact shattering and burning. If this type of vandalism or abuse is likely to be prevalent then request 3mm thick polycarbonate. 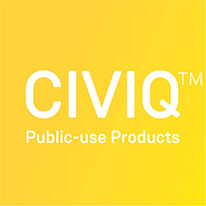 This option offers good resistance to concentrated high impact shattering and burning, but has poor resistance to cleaning blemishes and haziness from graffiti removal. The optional upgrade anti-graffiti film can offset this disadvantage. Note that in very rare circumstances this film could blister and we do not offer a warrantee against this. written on with white board markers. These boards are also available with a build in ‘board up’ pulley system to install higher up notices safely and easily without step ladders. 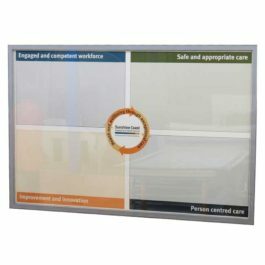 The HD1 Lockable Notice Board features everything you need to display information clearly and securely. 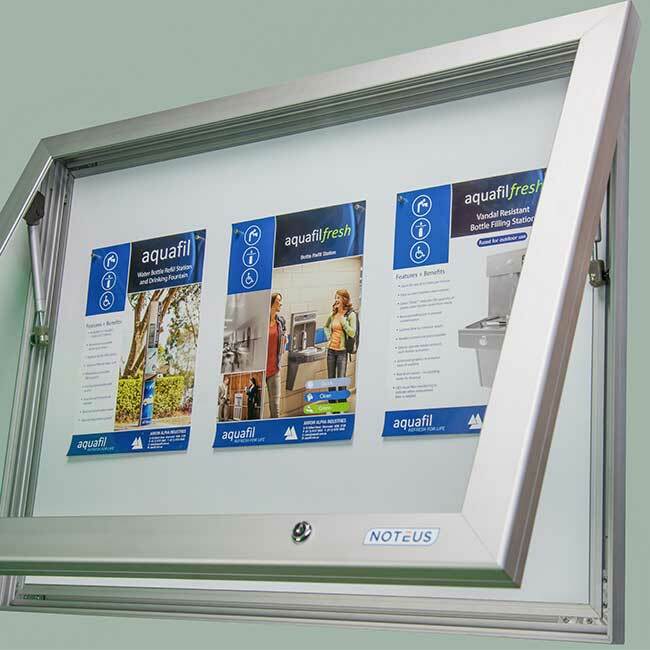 MD6 Keyless Secure Notice Board – for economical, slim, simple and reliable cases. 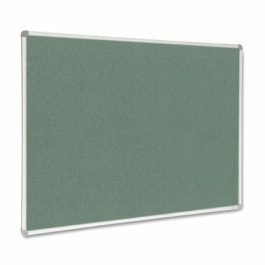 MD2 Outdoor Lockable Notice Board– for economical standard stock size cabinets.